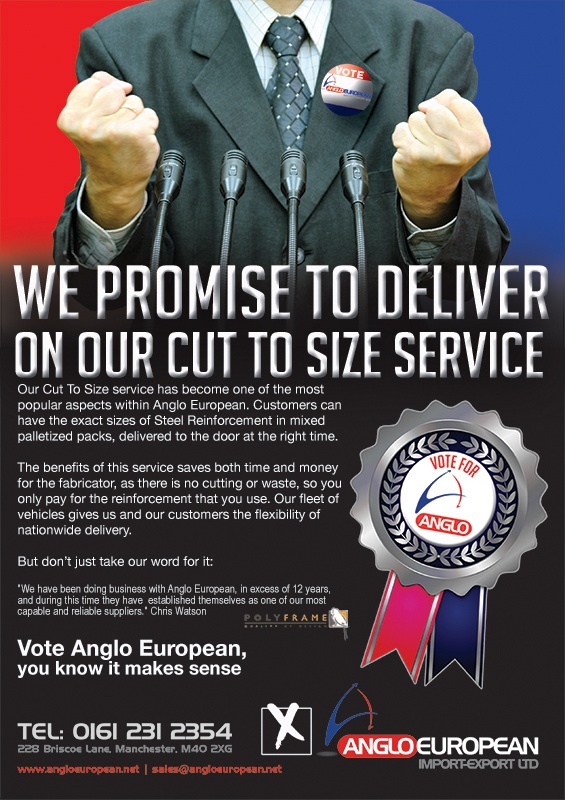 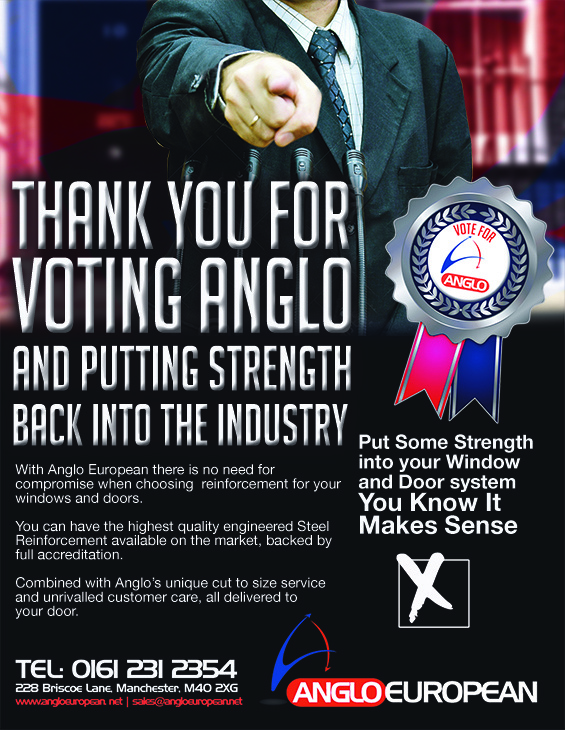 This campaign was devised for Anglo on the run up to the 2015 General Election. 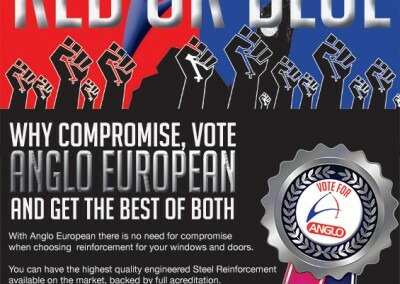 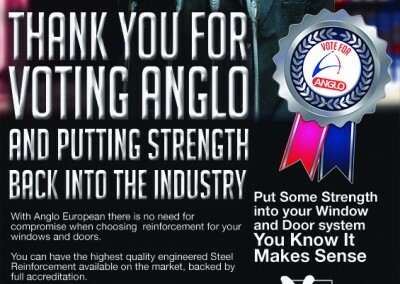 Using the colours of the two main parties, which were also part of Anglo’s logo we created a series of adverts, the general theme was “vote for Anglo and put strength back into your window”. 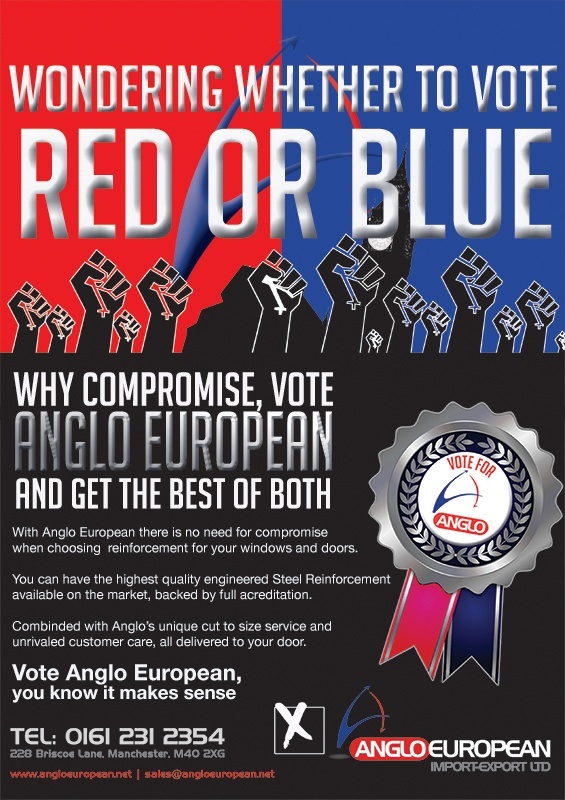 There were also other versions used for e-mail broadcast and on social media.